I've recently released a game called Endless Getaway on https://rob241abc.itch.io/endless-getaway (totally free to download and play) and it would be brilliant if you could check it out. Below you'll find a screenshot taken from Endless Getaway and a description of it. 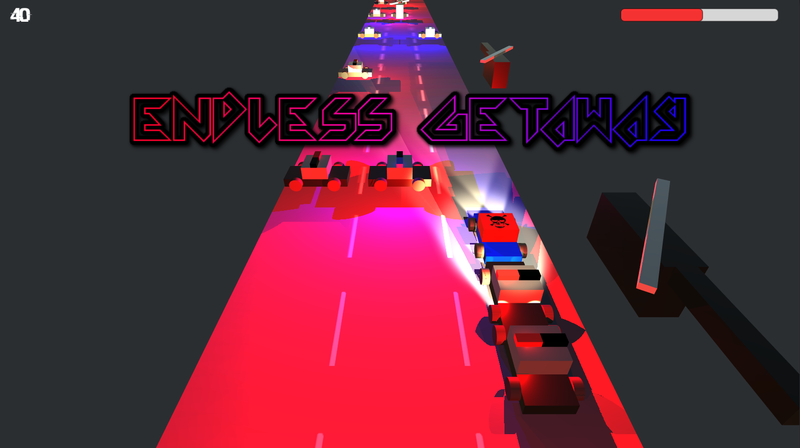 Endless Getaway is an arcade game with a simple yet appealing art style. Battle your way through a multitude of obstacles while attempting to lose the cops in their pursuit cars and helicopters; switch lanes at the last second to catch the pursuing cars. Watch out for police helicopters too: they'll follow you like your shadow. Complete levels to unlock new colours and epic emblems to customise your car with. Compete to beat your high score and be the best Endless Getaway driver of them all! I recently released my first game, called Endless Getaway which can be found at https://rob241abc.itch.io/endless-getaway. It would be brilliant if you could do a video review on it.